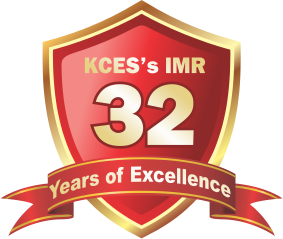 Khandesh College Education Society has established a Research Institute in 2006, “JalaSRI” Watershed Surveillance and Research Institute. Institute is associated with the activities of JalaSRI research center since 2014. Faculty members and students of institute actively participate in designing and implementation of various research projects. To be a unique and innovative multidisciplinary research institute, contributing significantly to the surveillance, research and development activities focused on watersheds, natural resources monitoring and management and other relevant areas. To support scientifically-based inventory, monitoring, management, and conservation of watershed and natural resources for sustainable development. 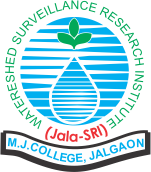 JalaSRI is a unique and innovative multidisciplinary research institute, contributing significantly to the surveillance and research activities in the field of water and other important natural resources through research, planning, executing, monitoring and managing different projects particularly in Jalgaon district. It is a collaborative research organization accelerating capacity building and utilization. It aims to promote core scientific skills and case studies using more modern scientific tools and techniques.